In the midst of your many choices for health care, it can be a confusing decision when choosing a physician. 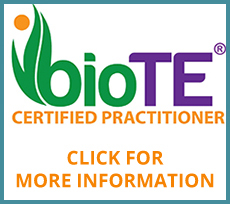 Especially when choosing a naturopathic physician, there is a plethora of different modalities used that makes each naturopathic physician unique. The doctors at A Family Healing Center incorporate specialized modalities along side lifestyle changes to improve your health. Most patients, regardless of diagnosis, can see improvement by initiating treatment here. The reason the doctors at A Family Healing Center can treat multiple conditions with success is because they treat you, not your condition and not your symptoms. The focus of A Family Healing Center’s treatments is on aiding the body to function better. When the body function’s better, symptoms of disease improve. We work first by setting a better foundation for health by improving organs of elimination. We also work towards improving the organs that initiate hormone manufacture because hormones are the main drivers in many important reactions that occur in the body. When a person hasn’t been diagnosed yet, we shine as providers. We begin treatment immediately while seeking the etiology of a problem. When most providers treat only disease and symptoms and may be apt to wait until a diagnosis to begin treatment, we begin right away. While we will always strive to find the root of your problem, initial treatment can begin to ease symptoms to provide you more comfort along the way. We do a thorough intake to better understand you and the progression of your problem. Sometimes taking huge steps backwards helps us get a better view of the situation.